Onean Manta is another surfboard from Spanish company – Aquila. Its sibling is the much talked about Carver. Although both models (the Carver and Manta) were produced by the same company and released roughly around the same time, they both have their differences. For starters, The Manta takes up a much more rectangular shape, unlike the Carver that is shaped like a longboard and designed for the “serious” surfer. The Manta model is designed for beginners in the water sport or more casual surfers; it is more stable and capable of reaching five miles per hour, lasting about two hours on a single charge. 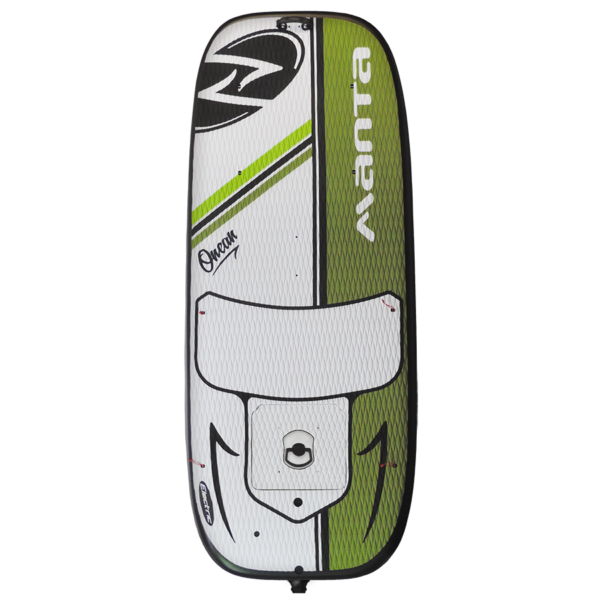 The Manta has great buoyancy and stability; it includes a wireless control, a battery and other components attached to the board’s surface like the foot strap and fin set. The only let down here is that it lacks some convenient features like deflectable capabilities for easy storage. However, if you want to ease up and enjoy the serenity of taking long expeditions at moderate speed, then Manta is the right board for you. Unlike your regular surfboards, these electric surfboards can be used to run on rivers and lakes. It runs a silent motor and it is perfectly safe for use in protected areas. So even if the swell isn’t attractive, Onean Manta will still help you ride like a boss!